Get your trip off to an amazing start by familiarizing yourself with Pedasi before you head off. If you need help getting your bearings, the national capital, Panama City, is 110 miles (177 kilometers) to the north. Also, Las Tablas is 25 miles (40 kilometers) to the northwest. With loads of things to see and do in this area of Panama, it's easy to understand why 2,000 people have made it their home. Spend less when you secure a flight and accommodation deal through Travelocity. With more than 400 airline partners and 665,000 lodging options, your Pedasi vacation is just a couple of clicks away. Our Customer 1st Guarantee offers 24/7 personal assistance on everything from flights and accommodations to car rentals and experiences. If you come across a better price elsewhere, we will reimburse the difference^. All travel packages may be easily canceled with no fees from our end. And so long as you get in quick, many accommodations don't charge fees either^. Pedasi is home to just 5 accommodations, and things can fill up fast! However, if you book ahead of time, you’re sure to find something that's to your liking. 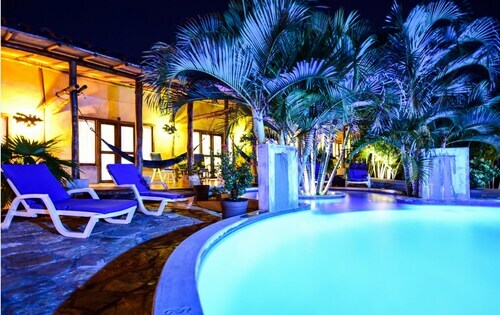 The Hotel Punta Franca and Casa de Campo Pedasi are our top accommodations in Pedasi. Make a reservation and then get down to the good stuff — booking your thrilling getaway experiences. Where do you fly into for Pedasi? 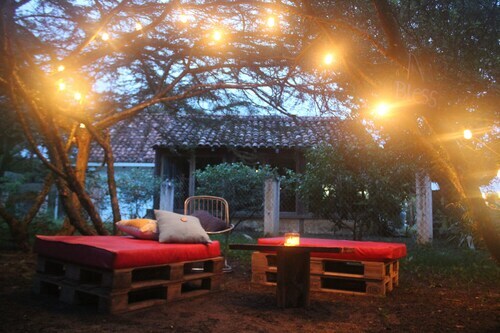 Get ready for some wonderful adventures in Pedasi. Once you've stepped out of Alonso Valderrama Airport (CTD), the main streets will be 40 miles (64 kilometers) to the southeast. Can I rent a car in Pedasi? Planning to explore the surrounding regions of Pedasi? A rental car will certainly be useful here. Look through the variety of options on Travelocity, select your favorite and get ready to cruise down the highway! Kite flying by the seaside is something the entire family can do together. If wind is forecast, why not have a go at launching one at Playa El Toro? Want more options? There is something bewitching about the murmuring swell at the seashore. Unroll a picnic blanket, stretch out and enjoy the ocean's ever-changing moods at Playa El Arenal. If you have explored all there is to explore in Pedasi with time to spare, don't worry! Just 17 miles (27 kilometers) away is La Palma, and there's no lack of activities on offer here. Cerro La Teta is the perfect place to learn the story of the region. El Uverito Beach and Isla de Cañas are also well worth your time. Situated 20 miles (32 kilometers) away, Santo Domingo is one more favored destination. If you visit, make time to check out Iglesia Santa Librada, Museo Belisario Porras and Playa Las Comadres. Situated in Pedasi, this hotel is 1.9 mi (3 km) from Playa El Arenal and 2.2 mi (3.5 km) from Playa El Toro. Los Destiladeros Beach is 6.5 mi (10.5 km) away. Situated in Pedasi, this hotel is 1.8 mi (2.8 km) from Playa El Toro and 2.1 mi (3.4 km) from Playa El Arenal. Los Destiladeros Beach is 6.2 mi (9.9 km) away. This family-friendly Pedasi bed & breakfast is located by the ocean, within 3 mi (5 km) of Playa El Arenal and Playa El Toro. Los Destiladeros Beach is 6.3 mi (10.1 km) away. 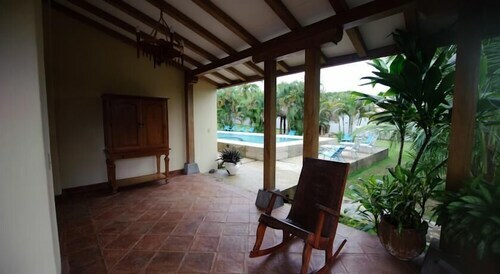 Situated in Pedasi, this bed & breakfast is 1.9 mi (3 km) from Playa El Arenal and 2.2 mi (3.5 km) from Playa El Toro. Los Destiladeros Beach is 6.5 mi (10.5 km) away. Situated near the beach, this hostel is 1.8 mi (3 km) from Playa El Toro and 2.1 mi (3.4 km) from Playa El Arenal. Los Destiladeros Beach is 6.1 mi (9.8 km) away. 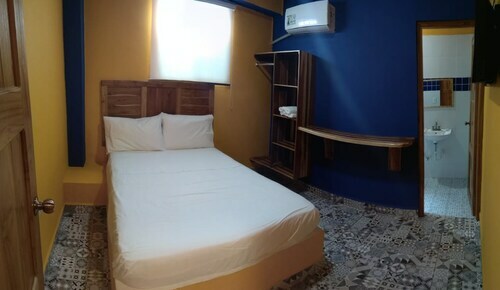 Situated near the beach, this hostel is 1.8 mi (2.9 km) from Playa El Arenal and 2.1 mi (3.3 km) from Playa El Toro. Los Destiladeros Beach is 6.4 mi (10.3 km) away. 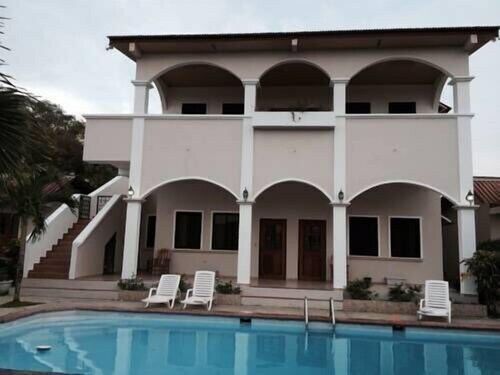 Situated in Pedasi, this vacation home is within 9 mi (15 km) of Playa El Toro, Playa El Arenal, and Los Destiladeros Beach. Venao Beach and Cerro La Teta are also within 32 mi (52 km). Situated in Pedasi, this hostal is 1.8 mi (2.9 km) from Playa El Arenal and 2.1 mi (3.4 km) from Playa El Toro. Los Destiladeros Beach is 6.4 mi (10.3 km) away.